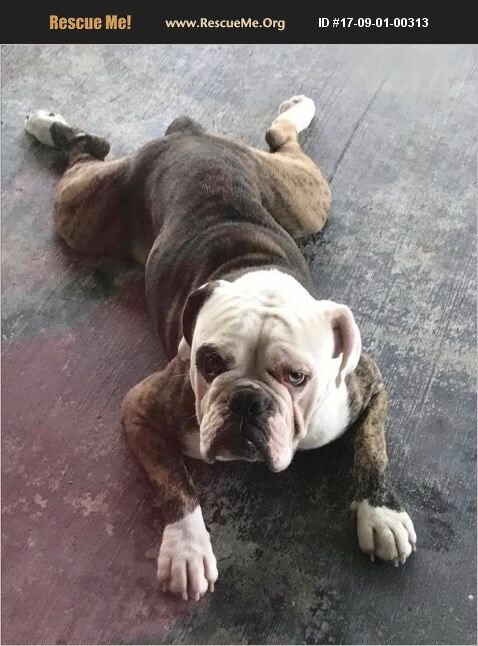 Charlie is a one and a half year old brindle Olde English Bulldogge. He is potty trained, good with other dogs, plays well with kids and sits on command. He is a really sweet boy. He loves to play with toys and go on walks. He does NOT do well with cats which is why we can't keep him. He was rescued last September,treated for a severe infection on his face, updated on shots, tested heartworm negative, has been on heartworm prevention and was neutered. Vet papers included. Prefer someone with knowledge of the bulldogge breed. Adoption fee covers all vet expenses incurred.